According to the report, industry growth is expected to remain weak, posting a Compound Annual Growth Rate (CAGR) of -0.7% over the forecast period to 2021. Following a drop in 2017, construction activity is, however, expected to recover and record minimal growth from 2018 onwards, supported by a gradual recovery in economic conditions and subsequent improvements in investor and consumer confidence. In real terms, the Brazilian construction industry registered a review-period (2012–2016) CAGR of -2.4%. This decline can be attributed to the deteriorating business environment and weak investor confidence, leading to reduced demand in the construction industry. Factors such as austerity measures adopted by the government – so as to reduce the budget deficit and corruption allegations against politicians – had an adverse impact on the construction industry. Consequently, the industry’s output value, measured at constant 2010 US dollar exchange rates, declined from US$236.7 billion in 2012 to US$214.6 billion in 2016. Over the forecast period, construction industry growth will be driven by the government’s efforts to develop the country’s transport, residential and energy infrastructure. The industry will be supported by government programs such as Minha Casa, Minha Vida program (MCMV), the Logistics Investment Program (PIL), Plano Decenal de Energia 2024 (PDE 2024) and the National Education Plan 2014–2024. In March 2017, the government launched the Infrastructure Concessions Program with an aim to increase investment in the country’s road, airports, ports and energy infrastructure. Under this program, the government announced a plan to invest BRL45.0 billion (US$14.4 billion) on transport, energy and sanitation projects. 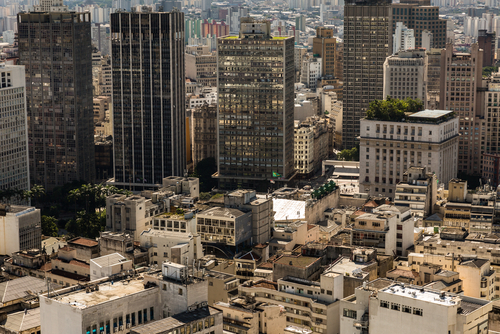 Despite these government initiatives, the construction industry is exposed to risks such as political instability in the wake of Brazil’s upcoming general election in 2018. In addition, the Petrobras corruption scandal, in which several politicians and large construction companies are facing allegations, is expected to pose a threat to investor confidence, which will in turn have an adverse impact on investments in construction projects in the years to come. Residential construction was the largest market in the Brazilian construction industry during the review period, accounting for 37.0% of its total value in 2016. The market is expected to retain its position over the forecast period, with residential construction accounting for 37.7% of the industry’s total value in 2021. The market is expected to be supported by the government’s plan to balance demand and supply of affordable houses, coupled with rising population and ongoing urbanization. Infrastructure construction was the second-largest market in the industry during the review period, accounting for 27.7% of its total value in 2016. The market is expected to remain relatively sizable over the forecast period, with 27.4% of the industry’s total value in 2021. The forecast-period growth will be driven by the government’s efforts to upgrade the country’s aging transport infrastructure under the public-private partnership (PPP) model. This information is taken from the Timetric report: ‘Construction in Brazil- Key Trends and Opportunities to 2021’.